Kayaking is quickly becoming a favourite summer sport the world over. Many people want to get into it, but don’t know where to start when it comes to buying your first kayak. We have also listed some of the questions you may have about kayaks, as well as the different types of kayaks and what they are best suited for. We also have a comprehensive guide and reviews for the best inflatable kayak on the market. What you need to wear is also important, read about what you should be geared out in when you hit the water. Below, we’ve listed our absolute favourite beginner kayaks for adults, families, children, and fisherman alike. The best Beginner Kayak goes to the Intex Challenger K1. It’s great for families and beginners alike, and perfect for learning. The best brand for beginner kayaks is the Intex. They produce high quality, but simple kayaks for families, beginners, couples, and solo paddling. The inflatables we list below are easy to store and transport and are the ideal companion for road trips when learning the amazing and adrenaline fuelled sport that is kayaking. 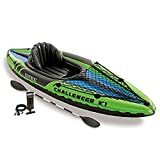 The best recreational kayak goes to the Intex Challenger K1 Kayak, fun to use, comes with all the accessories you need to get started, and perfect for adults and kids alike. The kit comes with a paddle and a high output pump, allowing you to get onto the water as soon as you want. The safest kayak goes to the Lifetime Youth Wave Kayak this kayak is ideal for kids and will keep them safe out on the water. The kayak also comes with a youth paddle, no need to spend anymore money when you get exactly what you need. 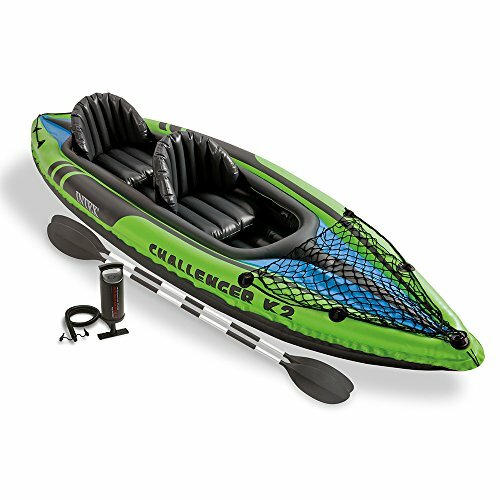 The most affordable kayak goes to the Intex Challenger K1 Kayak, extremely well priced and high quality. This kayak is a great starting point and allows you to build your strength and skills so that you can quickly adapt to the water and be on your way to mastering kayaking. the best single person kayak goes to the Sun Dolphin Aruba Sit-In Kayak, simple to use, and perfect for beginners. The Aruba is simple, yet still advnced enough to develope your skills and strength. You may not get a whole lot of extras, but in this case, basic is better. 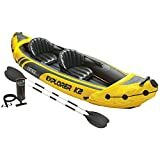 The best tandem kayak is the Intex Explorer K2 Kayak this inflatable is brilliant for beginners and experts alike and great for some two-person paddling. Intex is a solid brand and this two person is the ideal kayak to begin your tandem kayaking journey. 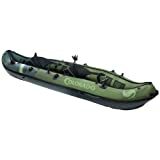 The best beginner fishing kayak is the Sevylor Coleman Colorado 2-Person Fishing Kayak which has everything you need for a fishing trip out on the water. This kayak is a great first fishing kayak, you get everything you need for a day out on the lake, you can modify it to your needs, and you can see what you would need in your next kayak when you decide to upgrade. The best river kayak is the Old Town Canoes & Kayaks Vapor 10 Recreational Kayak, brilliant for out on the lake or river, and a favourite among beginners. The Vapor 10 is well made and can handle itself out on the river, a great first kayak to get you used to the ups and downs of river kayaking. This is the list of our favourite recreational kayaks for beginners. These are great for a calm and relaxed day out on the water with the family, or just by yourself. The Ocean Kayak Frenzy Sit On Kayak is one of the best kayaks recreational kayaks for beginners. Easy to set up and use, very easy to get the hang of, and perfect for all age groups and skill levels. This kayak is also very lightweight and easy to store. At 9ft long and weighing in at only 43 lbs, it is very easy to store and transport, being able to fit on a trailer, in a pickup truck, or on a car roof with ease. The kayak has very durable and comfortable seating. The comfort plus seat back provide hours of support and comfort, allowing you to have much longer adventures out on the water. You can also adjust the seat four different ways for your comfort and convenience. The kayak also has a decent amount of storage, with a stern tank well, as well as removable bungee cords to store gear on top. Other features include bow and stern carry handles, moulded side handles, cup holder, and a replaceable rear skid plate for added durability. The Sun Dolphin Bali SS Kayak is a brilliant, lightweight, family-friendly kayak that is highly versatile, very well made and can be used by beginners, all the way up to seasoned paddlers. The adjustable padded seat back keeps you comfortable for extended periods of time, keeping you exactly where you want to be, on the water for longer. The open cockpit also allows for easy entry and also easy to jump out in case you capsize. The graduated foot wells are designed to accommodate paddlers of almost any height. The kayak is also made of UV-stabilized Fortiflex High-Density Polyethylene, that is extremely durable and strong. Th kayak has bungee cord on the front for storing gear, it also has a dry storage compartment for important gear and essentials, ensuring they stay dry and protected. The Lifetime Lotus Sit-On Kayak is a great first kayak for any beginner. The hull design allows for an immense amount of stability and great tracking, perfect for beginner kayakers. A paddle is included meaning you can get on the water right away. The kayak has multiple footrest positions, which can accommodate most paddlers. The kayak is also fitted with a hard backrest. This backrest can get uncomfortable after some time and purchasing a padded insert of some kind is recommended. 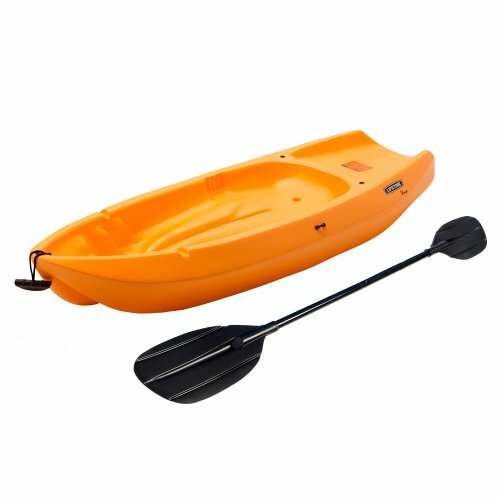 The kayak is fitted with scupper holes that drain the kayak, it also has moulded paddle cradles, as well as easy carry handles. The whole body weighs in at just 38 lbs, making this kayak lightweight and easy to transport. The kayak has tank well storage as well as bungee cords to hold loose gear. The body is made of Durable high-density Polyethylene (HDPE) construction, which is also UV protected, preventing sun damage. 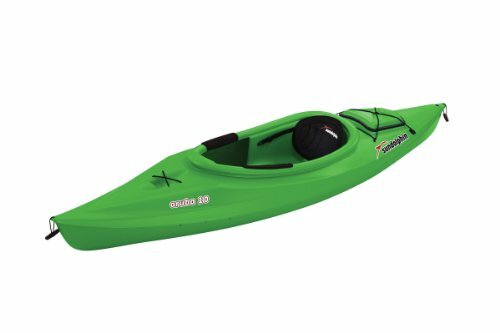 The Intex Explorer K2 is a very simple, lightweight, and easy to transport 2 person kayak, that is great for calm waters and recreational use. Storage is quick and compact and it inflates in minutes. This highly reviewed and widely loved inflatable, it has a removable skeg for directional stability, this is a brilliant feature for beginners as stability is one of the most important features when starting out. The kayak itself is made from heavy duty, puncture resistant vinyl, with two separate air chambers. This feature means you can still stay afloat even if one chamber gets a puncture. The floor has inflatable I-beam support that adds rigidity. The kayak is fitted with Boston valves that make inflation and deflation very quick and easy. The kayak also has a grab handle and grab line at either end for safety. A repair kit is also provided. The Intex Challenger K2 Kayak is a very affordable, 2 person inflatable kayak perfectly designed for family fun out on calm waters. This kayak is the definition of recreation and is also a great starting point for beginners. 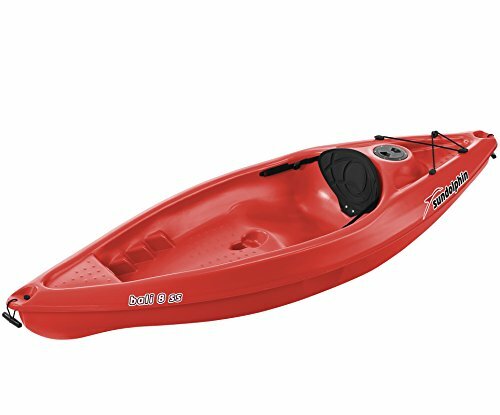 The kayak comes with two 86 inch oars and a high output pump that inflates and deflates the kayak in minutes. Much like the Explorer K2 above, the kayak is fitted with Boston valves that allow for the quick inflation and deflation. The body is made from super tough and rugged vinyl that is puncture and UV resistant, meaning you can leave it out in the sun for ages without risking any damage, as well as preventing any accidental punctures. 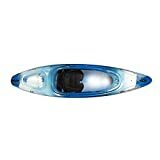 The kayak is super comfortable, and the inflatable and removable seats add the necessary support you need, the floor has an I-beam insert that adds even more comfort and rigidity to the kayak. The Intex Challenger K1 is the single person version of the K2 we reviewed above. This kayak is even smaller and more lightweight is definitely a great starter kayak for beginners, or a casual recreational, family fun kayak. The kayak is made of puncture resistant, heavy duty vinyl. There are two separate air chambers, meaning even if an air chamber gets punctured, you are still able to make it back to shore to repair. The Boston valves fitted to the kayak allow for quick inflation and deflation. There is an I-beam floor that adds to the comfort, as well as the rigidity of the kayak. The kayak also has removable skegs. 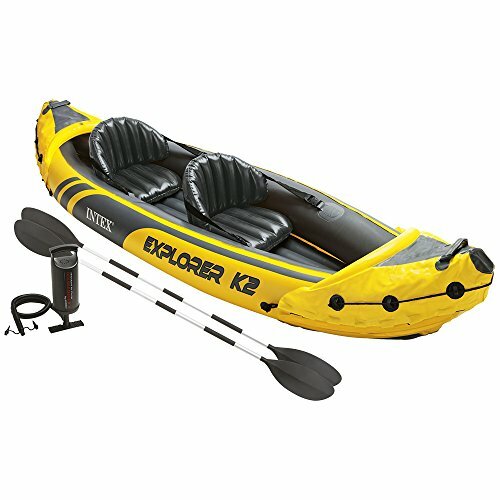 The full kit comes with the kayak, an oar, a high output pump for inflation, as well as a repair kit to fix most problems. The Sun Dolphin Aruba Sit-in Kayak is one of the most basic and easy to use kayaks on the market. This kayak is great for beginners as it is very well made, isn’t that expensive, and is also very easy to control. Although a sit-on kayak is usually best for beginners as they are considered kayaks that are easier to control, the Sun Dolphin Aruba sit-in performs just as well, maybe better, than its sit-in counterparts. The large cockpit is suitable for most paddlers and the high back; padded seat can be adjusted to your needs. The kayak is also fitted with some extra storage, as well as shock cord rigging to attach extra gear. The kayak is fitted with adjustable foot braces to suit people of most heights. The body is made from rugged UV-stabilized Fortiflex High-Density Polyethylene, making the kayak incredibly durable. There are also carrying handles for easy transport. The Lifetime Youth 6 Feet Wave Kayak is one of the best youth kayaks to get your kids into kayaking. Whether it be their first kayak on their kayaking journey, or you buy it just to have some fun on the water, this kayak is the way to go. The kayak weighs in at only 18 lbs, making it very easy to carry and transport. It has moulded finger handles on each side, as well as a reversed chine to increase stability, great for kayaking first timers. The kayak is fitted with a patented Swim-Up deck design to assist with re-entry, and the cockpit has an ergonomic design which enhances balance and motor skills. The twin fin design assists with tracking as well as riding the surf. 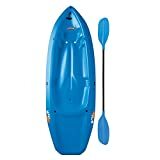 The kayak also has multiple footrest positions for different size paddlers, self-bailing scupper holes drain kayak, moulded handles for ease of transport and carrying, UV protected body won’t crack or fade, and the kayak comes with a youth kayak paddle. 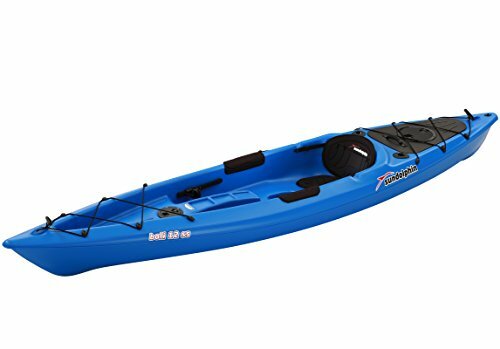 The Sun Dolphin Bali SS 12 foot Sit-On Kayak may seem a bit daunting to beginner kayaks as it is longer than most kayaks, but there is nothing to worry about, his 12 footer is as stable and as easy to control as a beginner length kayaker. The kayak comes with a PAC, a portable accessory carrier, which can be used as extra storage on the kayak, a tow behind, or a backpack to store any extra gear you may want to take with you. The kayak comes with a dry storage compartment to store any valuables you may want to take with you without risking them getting wet from spray. There is also shock cord rigging on the front to hold an extra paddle, life jacket, or whatever else you need. The kayak is very lightweight for a 12 footer and is also easy to carry and transport. There is a large, comfortable seating area, with protective thigh pads, adjustable foot braces to suit most heights and paddle holders. The Ocean Kayak 12 foot Tandem Kayak is a great beginner kayak for couples wanting to get out on the water. It can hold 2 adults, as well as a child so that couples with children can also take them out on the water. The three seating position options allow for solo paddling, tandem paddling, and paddling with a child. Multiple options to suit what you want to do. A great choice for families and couples. 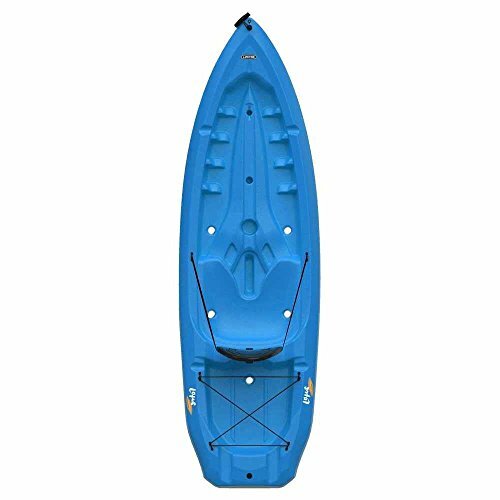 The kayak comes with two comfort seats and three moulded seat wells, gear straps for extra storage, patented overlapping foot wells to suit multiple heights, moulded-in handles and skid plates to increase durability. The hull and deck design allow for easy stacking if you have multiple kayaks, and also easy storage when docking. The kayak itself is also long enough to suit almost all leg lengths comfortably. 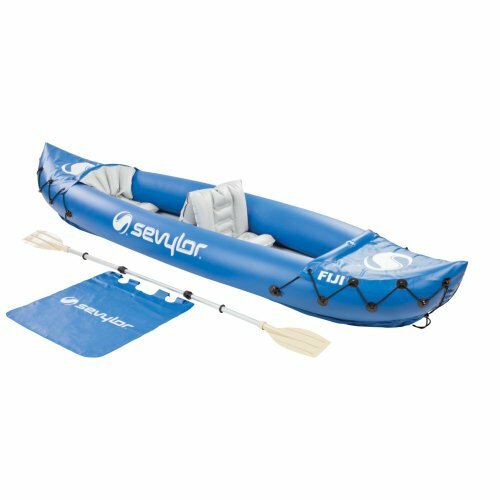 The Sevylor Fiji 2-person kayak is a simple to use inflatable kayak that is very well made and can be inflated and deflated very quickly. Being an inflatable, it is also very easy to store and transport when deflated. The kayak is made from 22 gauge PVC and can handle itself on most bodies of water. It is not recommended to use this kayak in the sea as it does not have any seawater protection coatings, but lakes, rivers and other bodies of water are fine. The kayak is fitted with an Airtight system that is guaranteed not to leak, perfect if you don’t have any knowledge of fixing kayaks. The multiple air chambers also ensure that if you do get a puncture, you can stay afloat and make it back to land to repair. The kayak has a Mini Double Lock and Double Lock valves make inflation and deflation very quick and easy. The kayak also has spray covers to keep you and the interior dry. It can fit one or two people and has a removable centre seat. The Sevylor Coleman 2 person Fishing Kayak is an inflatable fishing kayak that can be used for either solo and tandem paddling. It is fitted with all the attachments you may need for a fishing trip or a casual paddle on the water. Like the Fiji we reviewed above, the Coleman Colorado is made with rugged and strong 18 gauge PVC, and the 1000DD tarpaulin bottom is strong enough to prevent most bumps and scrapes out on the water. This kayak also has multiple air chambers to prevent you from sinking if one was to have a puncture, and the Airtight system that is fitted to Sevylors is also guaranteed not to leak. The kayak is fitted with Berkley Quick Set Rod Holders that allow you to have simple and easy hands-free fishing. The kayak is also fitted with Sevylor trolling motor fittings, allowing you to attach a motor and expand your fishing possibilities. The Old Town Canoes and Kayaks Vapor 10 Kayak is a brilliant little recreational kayak made for family fun paddling on gentle waters. This one man kayak is easy to control, has great stability, and can be used by beginners and experts alike. The kayak is made from highly durable single-layer linear polyethene, making it durable and strong. It also has an adjustable comfort seat, perfect for all day paddling comfort, as well as a cockpit rim paddle rest. The kayak is fitted with very comfortable thigh and knee pads, as well as a Glide Track Foot brace system for a very good and comfortable fit, and also aids in stability and control. The kayak has a stern day well which can be used as storage meaning you don’t have to store anything in the bilge of the boar and risk them getting wet and damaged. When buying your first kayak, there are a few points you need to take into consideration before making the purchase. What is your budget? What are you going to use the kayak for? Etc. This buyers guide will you help you dissect all the factors associated with buying a kayak. Here is a quick guide to the fundamentals of kayaking. Canadian Canoes – Canadian canoes are traditional Native American canoes and can be used for recreational purposes or on white water.Great for families or couples. Touring Kayaks – Touring kayaks are made to be stable on the water and are brilliant for all paddling skill levels. They are comfortable to sit in and can be used for long periods of time. Sea Kayaks – Sea kayaks are designed very differently to regular kayaks. They are longer and made for speed, and to withstand testing conditions. They also have multiple deck options and storage compartments for necessary gear. White Water Kayaks – Whitewater kayaks are designed for extreme control and speed. They are usually more for advanced paddlers, as whitewater conditions can be very difficult and dangerous for beginners. Kayaks for Children – Junior kayaks are smaller than regular kayaks and are made for children to develop their skill levels and strength. Inflatable Kayaks – Inflatable Kayaks are designed to be more compact and easier to transport. They are great for all skill levels and are best suited for calm waters as they don’t have the same shell strength as hardshell kayaks. Your budget is probably going to be the biggest factor in your decision. If you want a kayak just for recreational or family fun purposes, then buying a cheaper and easier to replace kayak will probably be the better option. On the other hands, if you are looking to take up kayaking seriously, buying a cheaper kayak is still the better option. Buy one that doesn’t set you back a whole lot of money, and then upgrade it when your skills improve. No point in spending a lot of money on your first kayak just to realize it isn’t for you. Your first kayak needs to be safe. This may seem obvious, but there are key safety features that should not be overlooked when making your purchase. How easy is it to balance in the kayak, are there safety handles, is it easy to jump out in the event it capsizes, these are all questions you need to ask. The ease at which you can set up your kayak is also important. If you are a beginner, you aren’t going to know to set up a complicated kayak. Make sure the kayak is simple, without a whole lot of extra set up required, the last thing you want to do is set up your kayak incorrectly and start sinking the moment you hit the water. Getting in and out of your kayak can be very tricky, especially if it’s your first time, here is a video demonstrating the technique used to get in and out perfectly, every time. Are sit-on-top kayaks more stable? Sit-on-top kayaks are known for being more stable than sit in kayaks. Most kayaks on our list are sit-on-top kayaks, but there are some sit-in kayaks that can be just as stable as sit-on kayaks. When it comes to beginner kayaks, stability is a given, so it really comes down to individual choice and preference. The size of the kayak you will need, depends completely on your height and weight. Use our size chart below to figure out the kayak size you will need. The length and size of your paddles also depend on your height, and skill level. The chart below will help you know the length of paddle you need. Read about the different and best techniques for paddling, it is an essential part of your kayaking journey. In conclusion, this guide is here to help new comers to the sport decide on which is the best route to go on for their new kayak. Everyone will have different needs and expectations, especially when it comes to how far you want to take your kayaking journey. If you looking for some accesories for your kayaking, check out our guide on the best full face snorkel masks. Our advice? Start simple. Buy a kayak that will get you out on the water and start practising, if you feel like this is the sport for you, definitely consider upgrading, if you just want a fun little kayak you and your kids can use, we are sure this guide has something for you.